This is the story of the Milton Family during WW1. 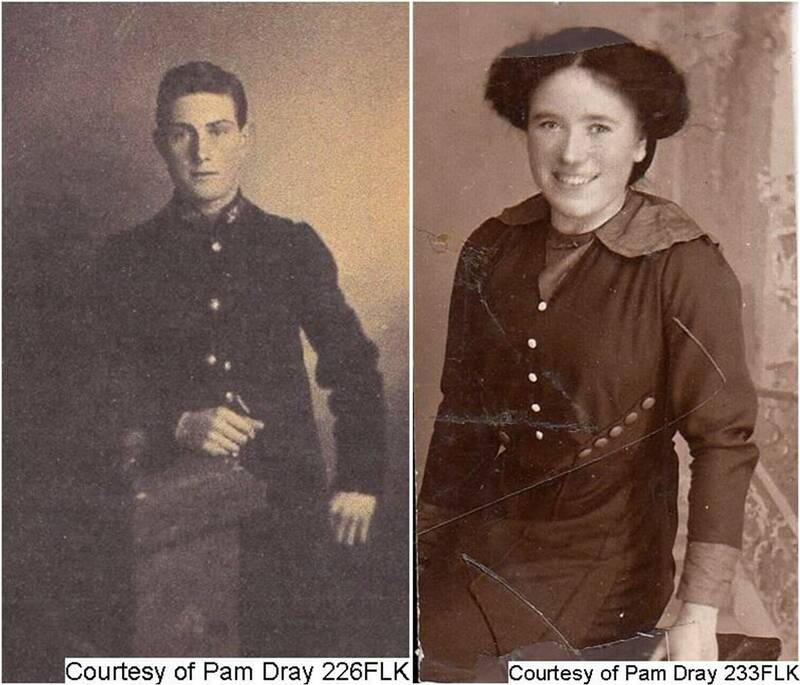 From Pam Dray’s Family History; mentioned below are some of the Milton family who are related to Pam Dray. The Dray family history stretches over the Drays, Harris, Miltons, Clokes and Allens. William was the first son of William and Rosella (My great grandfather on my father’s side). In 1877 he married Elizabeth Court and the couple had 10 children with 3 sons serving in WW1. The family came from a long line of fishing families. William Milton was born and died in his hometown of Folkestone. 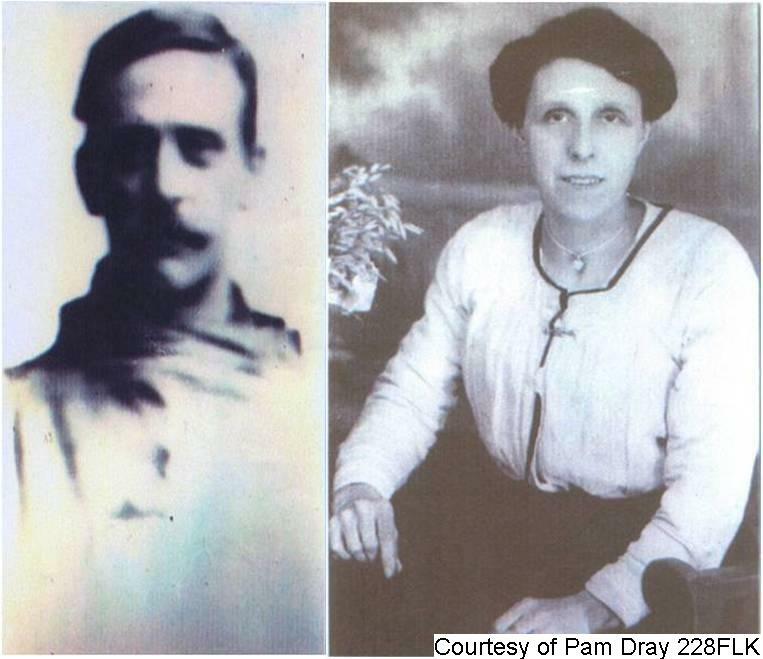 On the 19th Apr 1911, he married Lily Amy Goldsack 1892 – 28.07.1974, (daughter of Stephen Goldsack and Ellen Ann Lily and brother to Stephen Edward Goldsack who served and died in WW1*). The couple lived at St Michael’s St in Folkestone and during WW1 William was in the Navy. • Robert Fredrick William Harris 23.03.1911 – 15.09.86 who married Winifred Milton 06.01.1913 – 04.12.1980. (Daughter of Herbert Henry Milton and Winifred Allen).This is my parents. 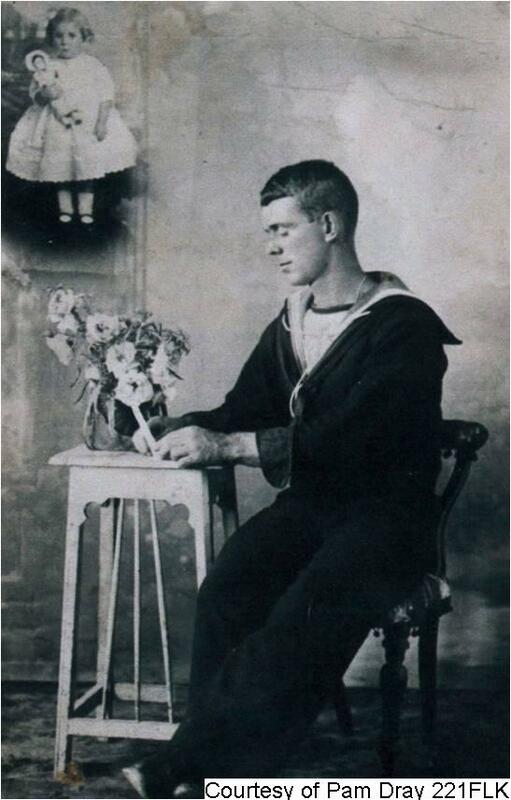 Robert Bartlett Milton 1895 – abt 1863 - Seaman 7507/A HMS President 111. Robert was born on the 3rd Jul 1895 in Folkestone Kent and served as Seaman 7507/A HMS President 111 Robert Bartlett Milton. In 1919 he married Edith Whitinstall who later died in 1949. He then went on to marry Ruby Cristable Avery in 1950 in Folkestone’s Registry Office. Frederick John Milton was the youngest child of William David Smith Milton and Elizabeth nee Court. Frederick’s father, William, had a very emotional time with the death of Frederick as six weeks before Frederick was killed he lost his wife Elizabeth. Frederick is mentioned on the war memorial in Folkestone and sadly he is one of many who died at Ypres whose body was never recovered. Fredrick is also remembered on the War Memorial of Tyn Cot Zonnebeke, West Vlaanderen, and Belgium. Frederick’s “Dead Man’s Penny” is now in the safe keeping of Jesse Milton, born in 1965, who is Frederick’s first cousin once removed and is the last of the Milton family to work with fish in the local fish market having given up going to sea a few years ago. My link to Frederick was through his sister, my grandmother, Daisy Louise. Daisy was born in 1888 and was William and Elizabeth’s sixth child. I am a descendant of Daisy who married Frederick Harris. Little is known about Frederick with no one alive who can tell me about him. Stephen married Minnie Margaret Barton in 1901 at St Saviours Church Folkestone and they lived at 3a Bennetts Yard, Great Fenchurch Street Folkestone. Stephen was employed by the Pleasure Gardens Theatre when he enlisted on the 14 June 1916, and he joined the East Surrey Regiment. Stephen was sent to Saltash in Cornwall. Can you imagine how his wife Minnie must have felt when she heard her husband had died on 4th July 1916 as he left her only three weeks previously, with four children between 9 and 14 to look after, he died of Pneumonia and Pleurisy, did he have this illness coming on before he left home or contracted it after he joined up one wonders?. George was the second son of William and Rosella. 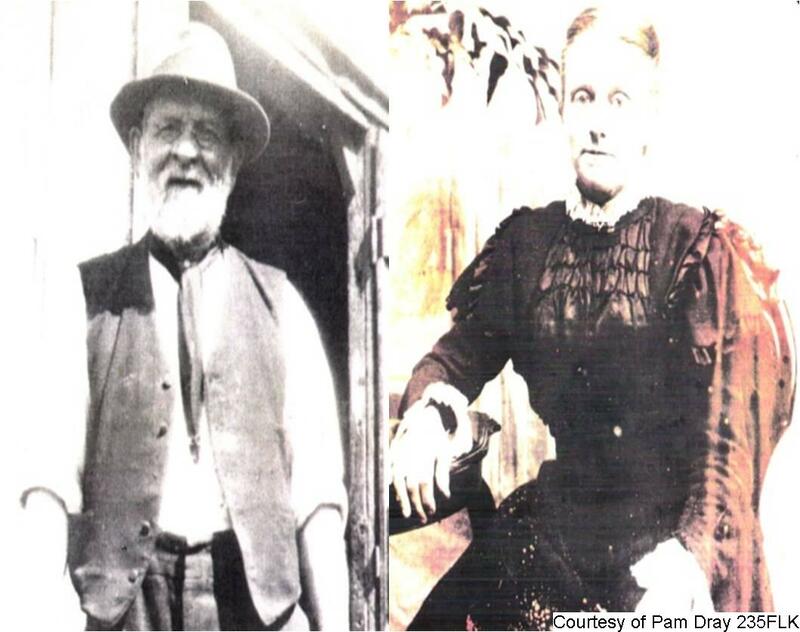 He was born in Folkestone and married Susanna Neville Marshall 1856 – 18.05.1920 the couple lived first in East Street, moving in 1918 to Radnor St with four children. 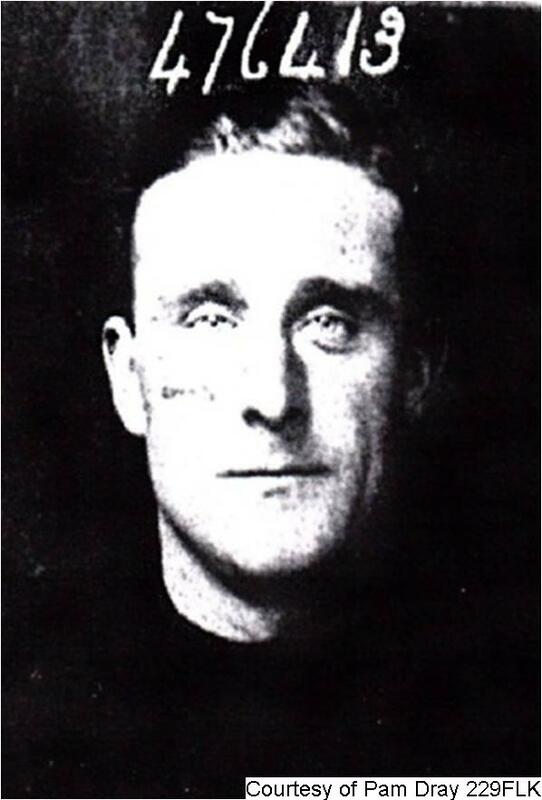 Edward James Milton 1887-1947 enlisted 18.7.1903 at Dover and went into the Wiltshire Regiment. He was discharged on the 9th October 1903 having made a mistake in his age, but the family say his mother complained he was too young and he was sent home. 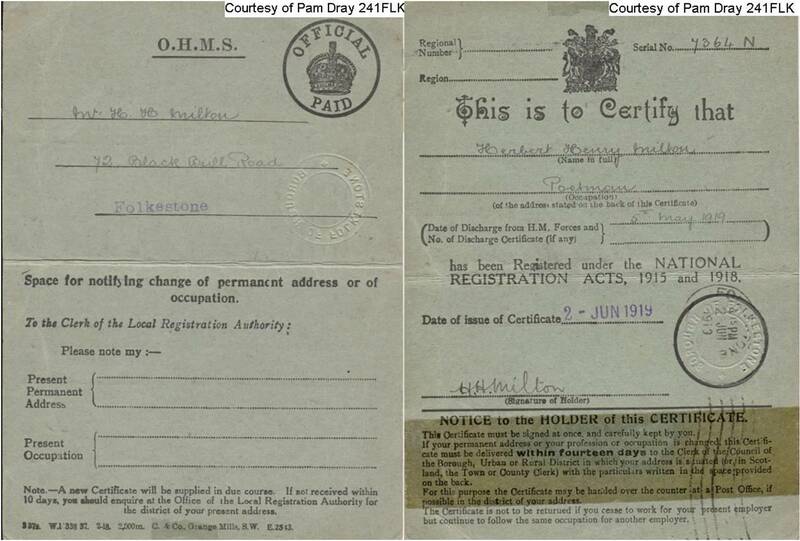 Edward married in London on the 31 December 1911 to Maud Victoria Chambers and on their certificate it stated he was a Stoker in the Royal Navy. No more information is known regarding the other three sons Richard Milton 1891 - ?, Frederick Milton 94 - ? 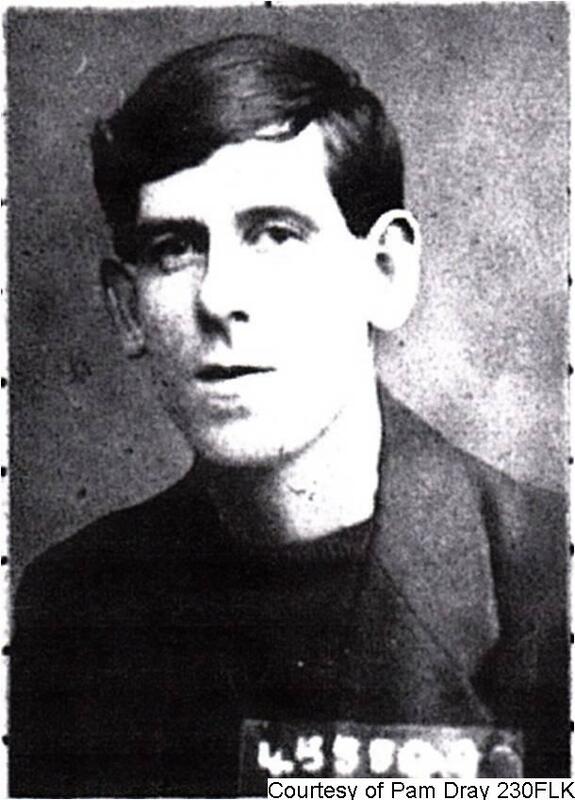 and Leonard 96 – 1916. William Hughes born 1880 – 1959 at 4 Marshall St Folkestone and went on to marry Annie Clara Elgar in 1902. The couple lived at 2 Coombe, Cotts, Canterbury Road, Hawkinge. Edward Robert Hughes 1888 – ? and Richard Gerald Hughes 1895 – ? 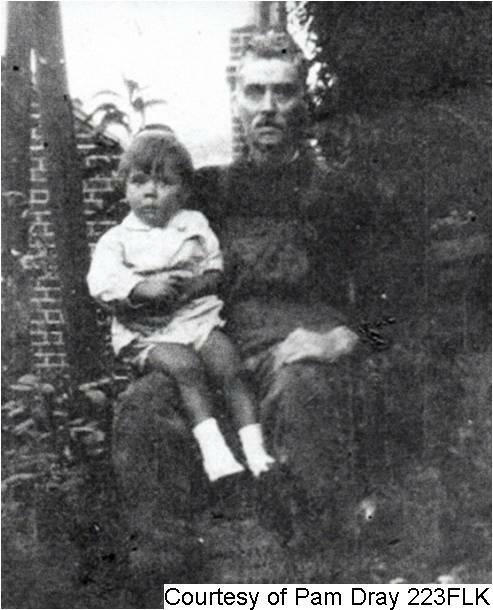 The fifth child of Sarah and James was James Charles Hughes, born 1878 – 1958 in Capel. 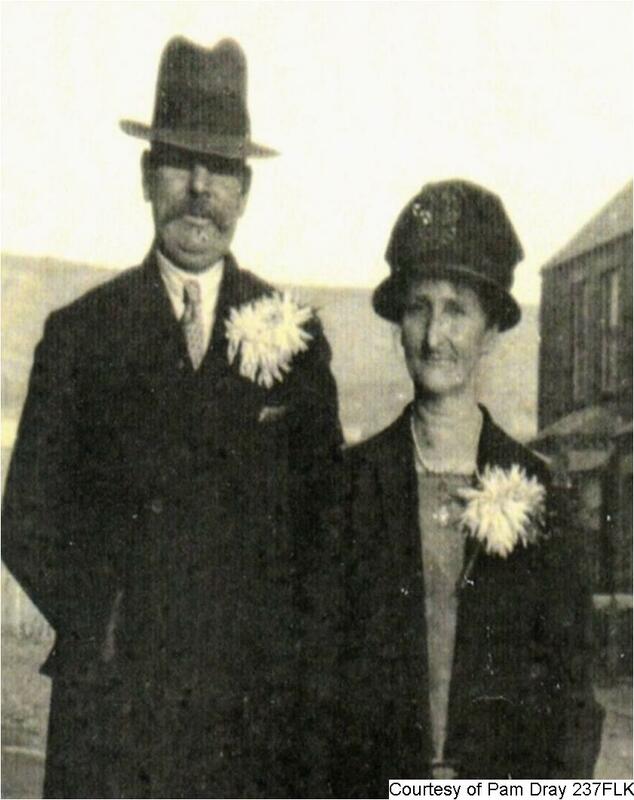 James married Edith Lucy Mannering and they lived at 85, Sidney Street, Folkestone. 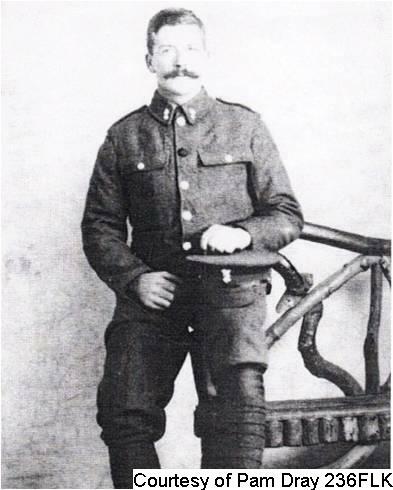 During WW1 James was James Charles Hughes PTE 2202216 PTE ¼ East Kents. The sixth child of Sarah and James was Sarah Elizabeth Amy Hughes 1883 – 1970. 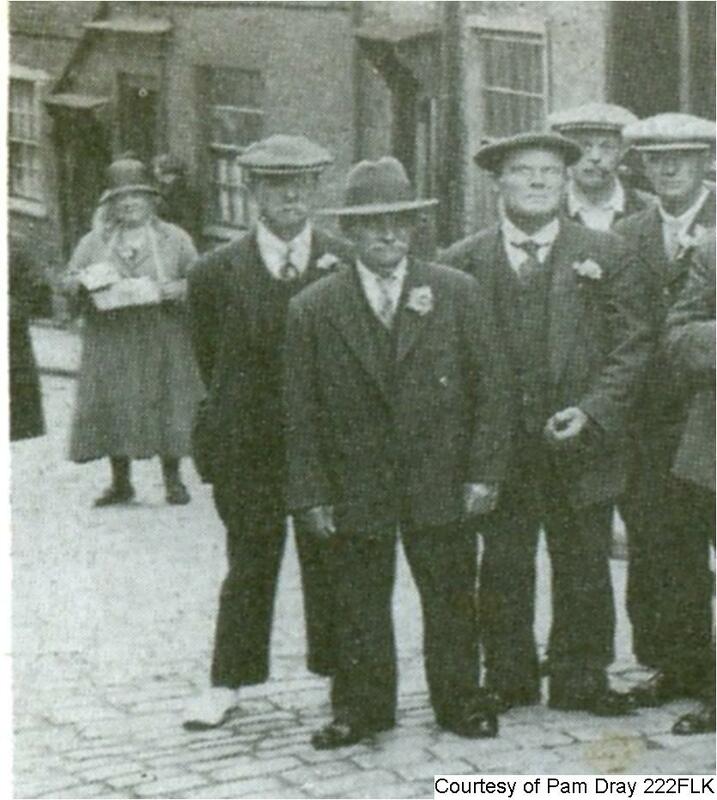 She married John Walter Castle 1882 – 1945 and they lived at 30, Denmark Street, Folkestone. In WW1 he was 15075 Pnr/CPL 7/ Irish Fusiliers. The family wondered why he went into that regiment as most of the people in this area seemed to go into the Buffs. West Kents and Surrey regiments. Edward was the 3rd son of William and Rosella. Edward and Elizabeth Jane Milton Nee Hall were married in 1892 in Folkestone Mar Quarter. The couple later moved to Cheriton and had 3 children. Albert can be seen in the picture above on the right with his mother Elizabeth. Albert married Elsie and the couple had a daughter Rosemary (seen in the picture above on the left with her grandfather Edward) Albert survived the First World War and died in 1941 of Pneumonia. Elsie died in 1939 of Cancer. Not much information is known on the other two brothers. John William Bartlett Milton 1897 – 1981 married Florence Mabel Peters in 1921. Edward Robert Milton was born in 1899 - ? Edgar was the 4th son of William and Rosella and on the 31st October 1887, he married Sarah Punett in St Marys & St Eanswythe, Folkestone. The couple originally lived at 4 Little Frenchirch St Folkestone where they had 13 children 2 of which served in The First World War. They later moved to 49 Canterbury Road in Folkestone. 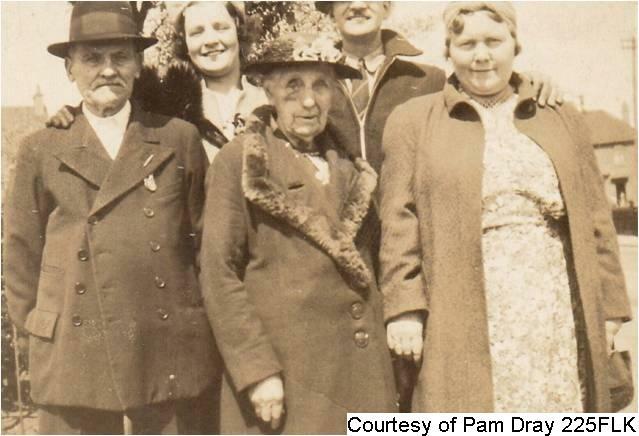 On the Far left of the picture above is Edgar Henry Hassel Milton then Sarah Martha his wife and Sarah (aka) Sally their daughter. William was the first son of Edgar and Sarah. He married Lilian Rose Mullett 1893 - ? in 1910. • Winifred Milton 06.01.1913 – 04.12.1980 married Robert Fredrick William Harris 23.03.1911 – 15.09.86 (son of Frederick William Harris and Daisy Louise Milton) 13.09.1939. This is my parents. 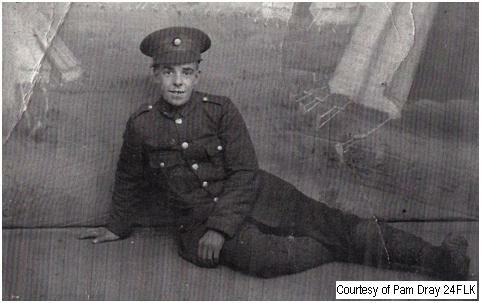 The photo above shows Herbert age about 21 in his Post office uniform. 9/3/1918 left Mhow and sailed to join the Mesopotamia Field Force engaged against the Turks now called Iraq Saudi Arabia. Ester Francis Milton 1892 - ? 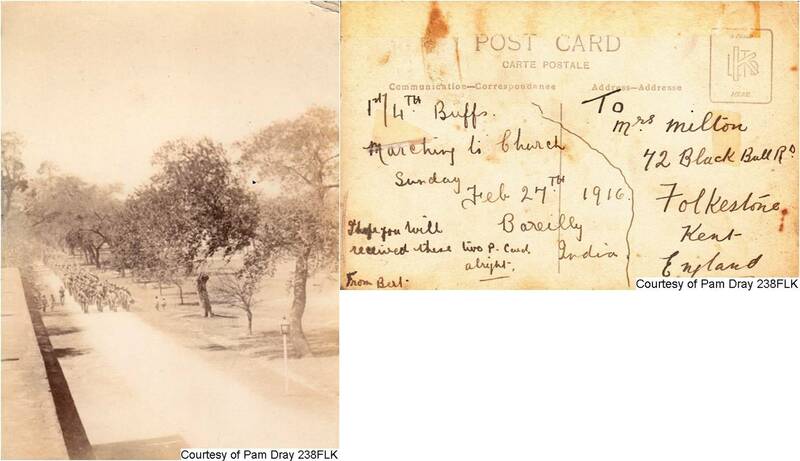 Ester was the first daughter of Edgar and Sarah and she married Thomas Willam Burville 1890 - ? in 1912. The couple lived with Ester’s parents at 4 Fenchurch St, Folkestone until they got a place of their own at 9, Tyson Road. My grandfather said Thomas was one of the lucky ones who didn’t serve abroad, before Thomas enlisted he was employed by the railway. Thomas enlisted 8/10/1915 and his regiment number was 358439 RGA disembodiment 4/6/1919 Medical Class B1. Whilst serving in Dover he became a casualty not sure what from, maybe this kept him in England. He was stationed mainly at Dover but spent some time at Abbey Wood. He must have come home quite regularly as he fathered children in 1913, 1915 and 1917. 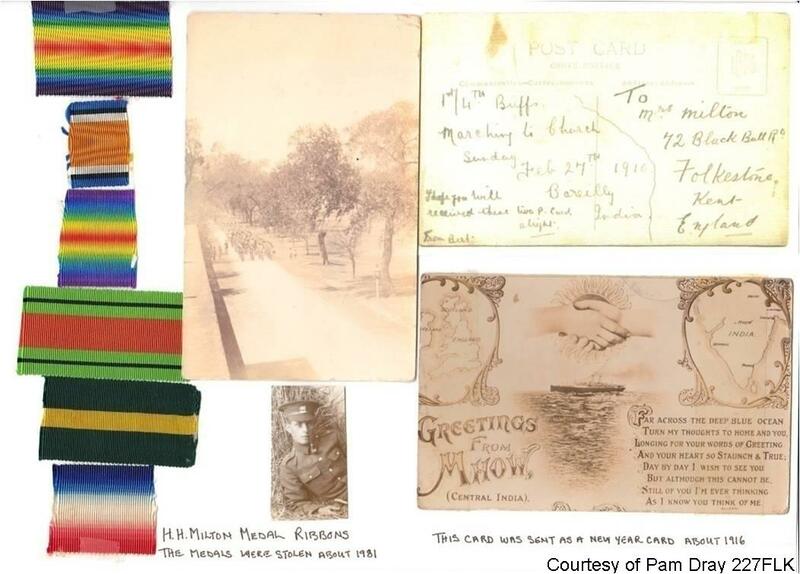 Ethel Margaret Milton 08.11.1899 – ? Ethel was the fourth daughter of Edgar and Sarah and she married Frank Francis Currie 8.09.1896 – 28.08.1980 (born in Chatham, New Bruswick, Canada) on the 21st August 1917. 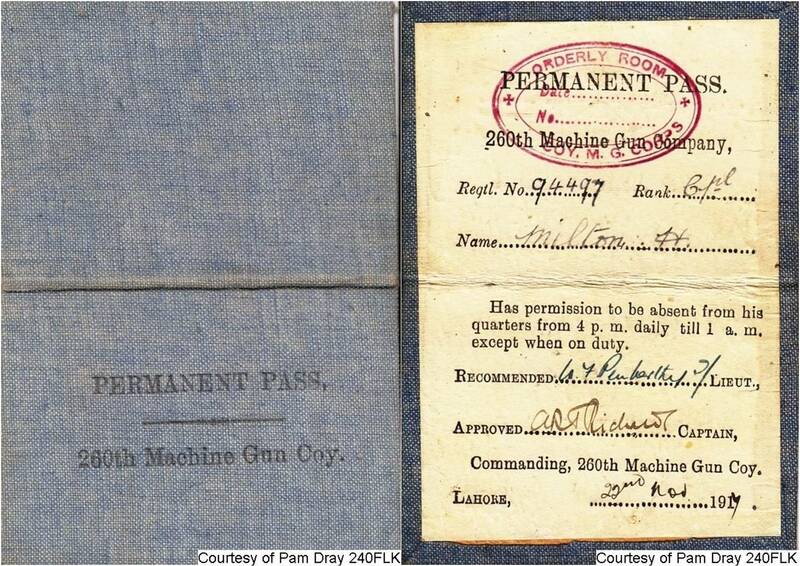 Frank signed up for the Canadian Over-Seas Expeditionary Force, and came to England 27/3/1915. With their marriage in 1917 they must have met and married within 2 years of him coming to England. We are not sure when Ethel went out to Canada but their first child was born in Canada 12/4/1920. A cousin of Ethel, Esther Francis Milton also went to live in Canada, (sadly I have no information on Ester). 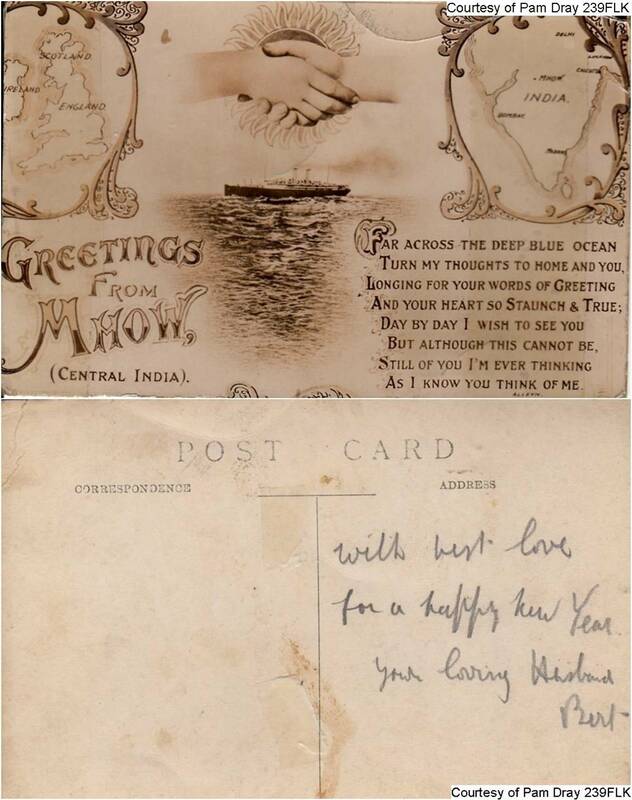 But I can remember my grandmother showing me two identical Christmas cards they had in the 1950’s one form Canada and one from USA from Esther and Ethel, and they lived 1,000’s of miles apart. Frank died in1980 in St Petersburg, Florida, USA. Jesse Smith Milton was the youngest son of William and Rosella Smith. He married Christina Poole on the 27.04.1894 and the couple had 3 children. Charles William Henry Milton served in WW1 as AB Seaman RNR 3437A on HMS President 111 with his cousin Robert Bartlett Milton 1895 – abt 1863 - Seaman 7507/A HMS President 111. (Son of William and Elizabeth Milton) Charles was sometimes known as William Charles Henry Milton. The other two sons included Alfred John Milton born in 1896 GNR 4900 SS Montenegro and Jesse Milton born in 1893. I have no information for Jesse. Alfred Milton is from a different line of Milton’s but going back 7 and 9 generations he is related to William Milton born about 1640. Alfred and Herbert Henry Milton both have this William as their 7th and 9th great grandfather. Alfred Henry James Milton 28.07.1893 - ? 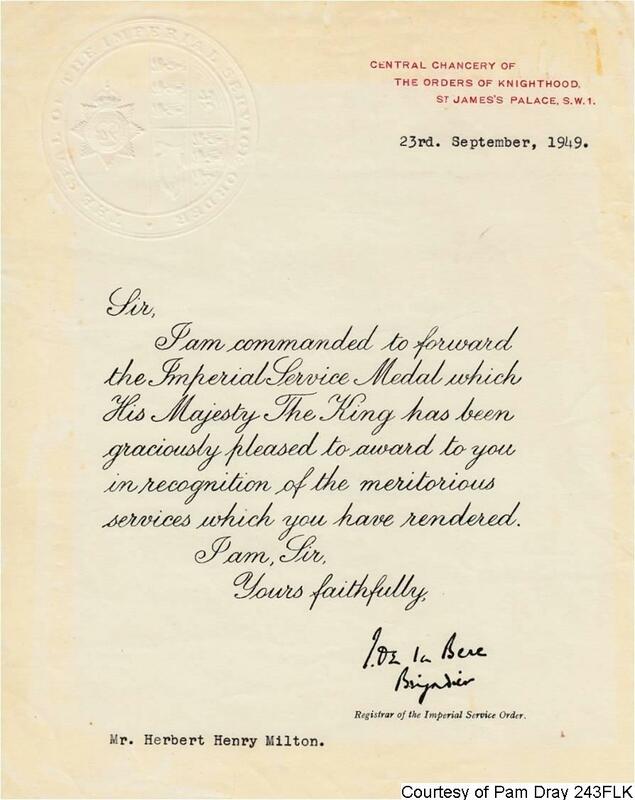 Alfred was born in Folkestone and served in the First World War as AB seaman RNR 4256A. He served on the ‘Highland Glen’ of the Nelson Line which was a refrigerated cargo ship that carried meat from South America to the UK, built in 1911. In 1937 Alfred was living in Hill Road Folkestone. Henry was also born in Folkestone and lived at 35 Garden Road during WW1. Henry joined up in 1914 as L/CPL ¼ the Buffs, but sadly died of Malaria and Pneumonia.